USADA announced today that Abdelmounaim Harroufi of Azrou, Morocco, an athlete in the sport of track and field, has received a four-year sanction for his anti-doping rule violations. USADA has jurisdiction to test and investigate international athletes who live, train, or compete in the United States. In 2015, USADA obtained non-analytical evidence that Harroufi, 39, possessed and used 5-Aminoimidazole-4-carboxamide ribonucleotide (AICAR). AICAR is a non-Specified Substance in the class of Hormone and Metabolic Modulators and prohibited at all times under the USADA Protocol for Olympic and Paralympic Movement Testing, the United States Olympic Committee National Anti-Doping Policies, and the International Association of Athletics Federation Anti-Doping Rules, all of which have adopted the World Anti-Doping Code and the World Anti-Doping Agency Prohibited List. 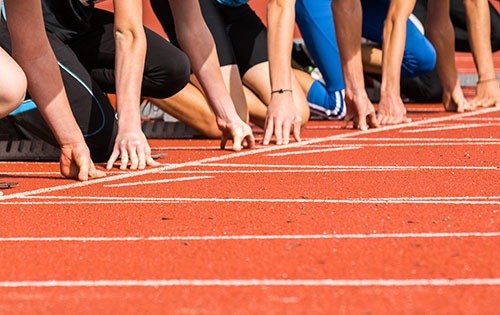 In addition to education and testing, robust anti-doping programs enable investigations stemming from tips (Play Clean Tip Line) and whistleblowers. During its investigation in this case, USADA received a vial labeled AICAR reportedly belonging to Harroufi. Subsequent testing confirmed the vial contained AICAR, and Harroufi admitted that he used the prohibited substance, despite it being labeled not for human consumption. Harroufi’s four-year period of ineligibility began on November 22, 2017, the date his sanction was imposed. As a result of the doping violations, Harroufi’s competitive results obtained on and subsequent to May 1, 2015, the approximate date he admitted to using a prohibited substance, have been disqualified, and any medals, points, and prizes are forfeited.